Full Line Up to be revealed soon! It is happening again friends, we would like to invite you to our legendary – OFF WEEK Terrace party in Barcelona. While listening to the finest techno beats enjoy our mother sun. Is there anything better than this? 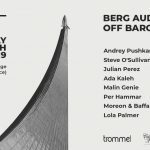 Everyone who’s in Barcelona on the 15th of June and on the lookout for the perfect symbiosis of uncompromising techno beats and analogue light produced by mother sun, seems to be in the right place at the right time. 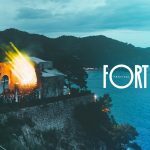 FORT Festival 2019 – 4/5/6 Oct.